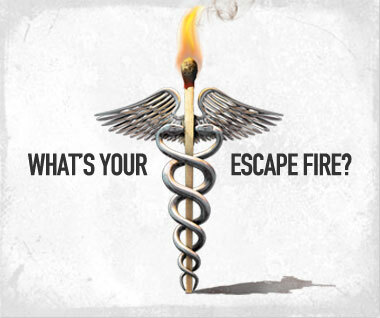 WHAT IS AN ESCAPE FIRE? a swath of grassland or forest intentionally ignited in order to provide shelter from an oncoming blaze. an improvised, effective solution to a crisis that cannot be solved using traditional approaches. 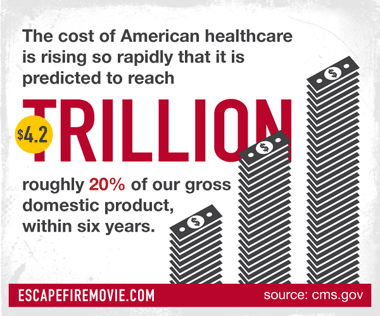 In the research phase of ESCAPE FIRE, the filmmakers came across an influential speech delivered by Dr. Don Berwick years before he took office as the head of Medicare and Medicaid. 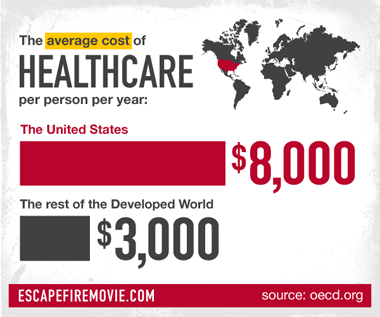 The speech was published as a healthcare manifesto called Escape Fire: Lessons for the Future of Healthcare. Dr. Berwick draws a parallel between the broken healthcare system and a forest fire that ignited in Mann Gulch, Montana. Just as the healthcare system lies perilously on the brink of combustion, the forest fire which seemed harmless at first was waiting to explode. A team of fifteen smokejumpers parachuted in to contain the fire, but soon they were running for their lives, racing to the top of a steep ridge. Their foreman, Wag Dodge, recognized that they would not make it. With the fire barely two hundred yards behind him, he did a strange and marvelous thing. He invented a solution. His crew must have thought he had gone crazy as he took some matches out of his pocket, bent down and set fire to the grass directly in front of him. The fire spread quickly uphill, and he stepped into the middle of the newly burnt area, calling for his crew to join him. 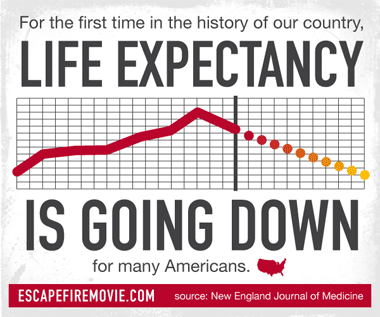 Healthcare, it's in really bad trouble. The answer is among us. But nobody followed Wag Dodge. They ignored him, clinging to what they had been taught, and they ran right by the answer. The fire raged past Wag Dodge and overtook the crew, killing thirteen men and burning 3,200 acres. Dodge survived, nearly unharmed.